Of course you know me bro - Omegatron ! nice seeing you here at TO. Welcome. And here I thought I was all alone. Well, I'm not really a 40k player since I have no idea where to get a starter set here in the Philippines (and I don't really have enough resources for now). To not miss the opportunity to receive bonuses, go fast registration FB88today. Friendly interface, easy operation and quick Redemption is the original comment on the FB88 of the participants present. Mobile Version: access on page m.fb88 and click REGISTER NOW! Web interface: Visit www.fb88 and click REGISTER NOW! 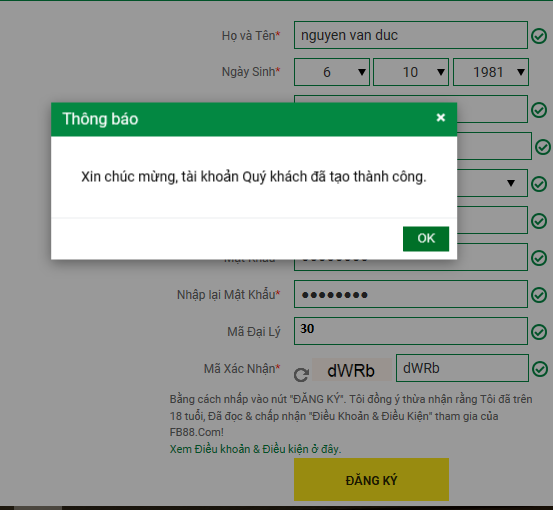 Note: Click the flag icon language circle and choose the language used by the customer. Please click here if the page does not work on browsers you.